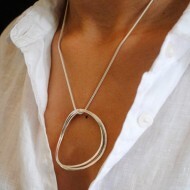 This contemporary looped pendant on snake chain is a beautifully simple designer piece in British Hall-marked silver. 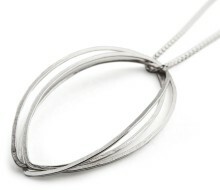 Contemporary and somehow timeless, its round softly curved multi-forms make this triple-layered necklace a perfect example of the care and attention to detail in which we pride ourselves. 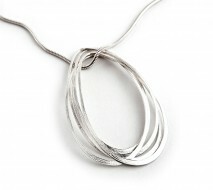 Each of the three curved silver Honesty loops is individually hammered by hand in our workshop in the Garden of England, creating the unique L&N textured finish, softly sparkling with shiny edges, and the soft curves are linked and gathered around a delicate snake chain, making this elegant and easy-to-wear piece complete. 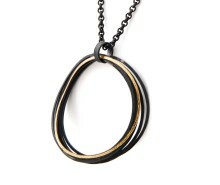 This modern piece is unique to L&N; our design philosophy is Modernist but wearable, cool but comfortable; the finish is exact and every piece is made to be easy to put on and to look fabulous. 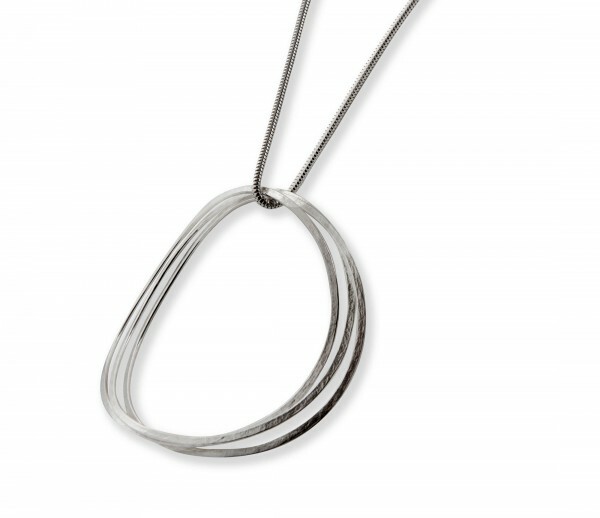 It is entirely British hallmarked silver, hand-crafted in our workshops in the Garden of England, and every item is hand-made and finished by our makers. 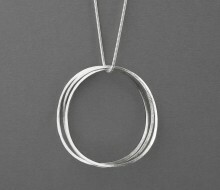 Pair it with the Honesty Bangle or wear it on its own, for special events or for everyday; it is adaptable and versatile, and made to be worn. 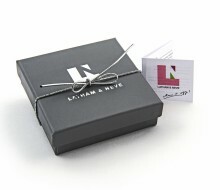 The Honesty Multi Pendant comes ready to give in our exclusive L&N gift box, so treat someone special with this beautiful piece. Or just keep it for yourself.